Alternative titles : "The Daughters-in-Law", "Daughter in Law's Golden Age", "Daughters in-law", "Golden Age of Daughter in Law", "Wanted: Son-In-Law TV"
This “action drama” portrays the eventful life of an extended family: a stubborn grandma, a bluffing father, a mother with long-harbored ulterior motives concealed behind her ostensible obedience, a son who has been spoiled by his mother as the only child in the family, and a daughter-in-law who makes a hasty decision to get married. By targeting families, this drama interprets family and marriage issues in a heartwarming and hilarious way through the lives of three generations of daughters-in-law. It presents viewers with an opportunity to make their own choice between a woman who learns many good things from conservative family values instead of criticizing them and as a result becomes wiser, and a woman who makes a wrong choice and gets entangled in a turbulent family relationship but receives a chance to deny reality and choose her own path. Lee Bok-soo: The son of a family owning a famous pig-trotter restaurant and Mi-jin’s husband, Ji-hoon graduated from Seoul National University and has a prestigious job at the Yujin Group. Handsome, well-shaped, smart and having a well-paid job, he is an object of desire of many girls. But even he has a dilemma: his tumultuous family. 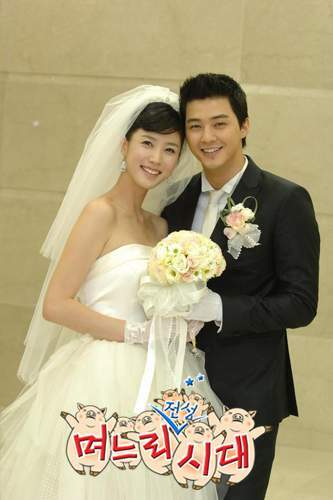 Having no intention whatsoever to get married, he one day meets a cute girl named Mi-jin and ties the knot. But their marital life faces numerous obstacles. 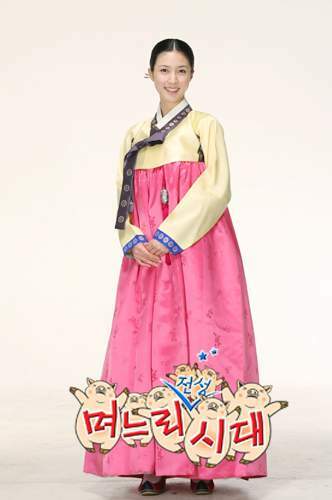 Cho Mi-jin: Smart, eloquent, erudite and professionally ambitious, Mi-jin is the only daughter in her affluent family. She is self-confident and accustomed to receiving love and attention. She has a bizarre sexual obsession with guys who have bulging bluish arm veins. She meets one of such guys, Bok-soo, and after many twists and turns ties the knot with him. But her marital life turns out completely different from how she had envisioned it. She finds herself standing at the crossroads of life and having to make a difficult choice. Cha Su-hyun: A senior designer and Mi-jin’s college senior, Su-hyun is the only daughter of a university president and the daughter-in-law of the director of a famous general hospital. Living up to her high social status, she is well-mannered and self-restrained, but deep inside she is suppressing the urge to run away. She married her husband because she really loved him but her heart gets slowly bruised because her husband still can’t forget his ex-wife. One day she meets a man who seduces her and whom she seduces as well and eventually wants to break all the rules and restrictions. Seo Mi-soon: A daughter-in-law of a family owning a pig-trotter restaurant and Bok-soo’s mommy, Mi-soon comes from a family that owns a chicken rib restaurant. She ran away from home with her then-fiance, who wanted to “rescue” her from the life of toil with her mother. But counter to her hopes and expectations, her life as a daughter-in-law of a restaurant-owning family wasn’t that much different from her single life. The only thing that changed was the restaurant menu. As a mother of a son whom she loves and treasures most of all in the entire world, she is not content with the woman he chooses to be his wife. To teach her how to do things, she decides to borrow her mother-in-law’s techniques, but they prove useless with her self-confident daughter-in-law. Lee Soo-kyung is returning as a crafty woman. 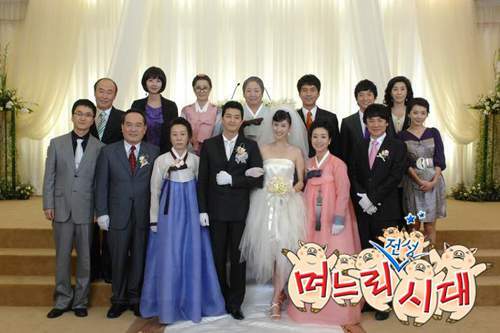 The hottest topics in Korean TV soaps in 2007 were adultery and conflicts between woman and her mother-in-law, and the resolutions were inevitably physical. View all 83 pictures for "Golden Era of Daughter in Law"